Ever since the Uber, the taxi booking and ride-sharing application surfaced on the Google Play Store, several companies followed the suit and launched their Uber-like apps on the App Stores. These applications have similar fare as Uber. They also provide good experience. Frankly speaking, Uber isn’t a bad app. But as its several competitors exist in the markets, people love to check the cost of traveling from one location before booking a ride on Uber. People do so to save money. Lyft is one of the top competitors to Uber in the United States. To make sure that the passengers don’t get hurt by rash driving, robbed or get molested, LYFT hires drivers only after testing their driving skills. The company also checks the background of employees. 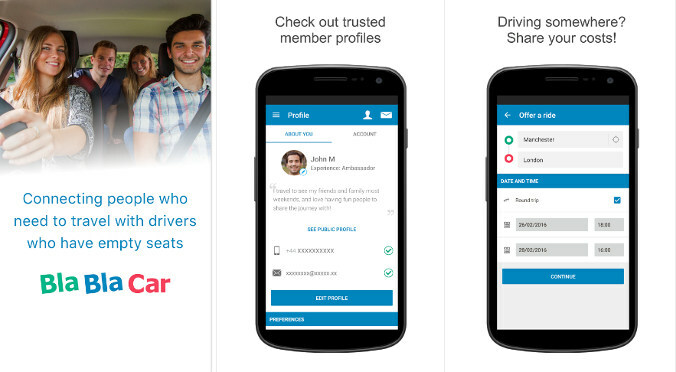 The ride-sharing app allows you to rate the car driver. Hence, you can easily find a driver with the highest ratings and get in touch with him or her quickly. 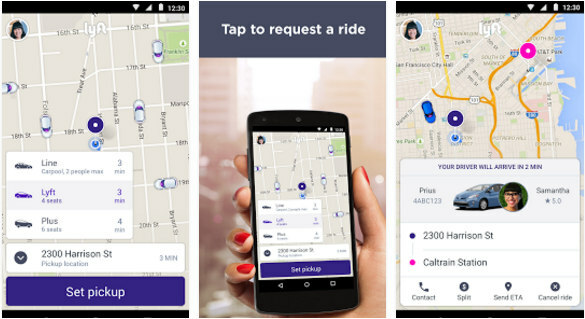 Lyft allows users to share the cab with other passengers. Once a new passenger gets on board the car, you can split the charges. LYFT ships with an easy to use interface. As over a million people use this app every day, it is possible to find a taxi quickly and travel for cheap. The app supports over 199 US cities. It lets you schedule rides. BlaBlaCar is one of the largest ride-sharing services in the world. It has a presence in up to 25 countries. It was founded in 2006 and has 24.9 million users. People use BlaBlaCar to travel from one city to another. The great thing about the platform is that allows passengers traveling to the same destination share the Taxi. Hence, traveling to a distant location gets cheaper. Thus, BlaBlaCar is a great alternative to trains and buses. BBC enables users to check the profiles of the drivers. It doesn’t let drivers register an account unless they submit their Government issued ID. The free application provides messaging feature so that you can quickly get in touch with fellow passengers or your driver. It is available in many European and Asian countries. E.g. United Kingdom, France, etc. 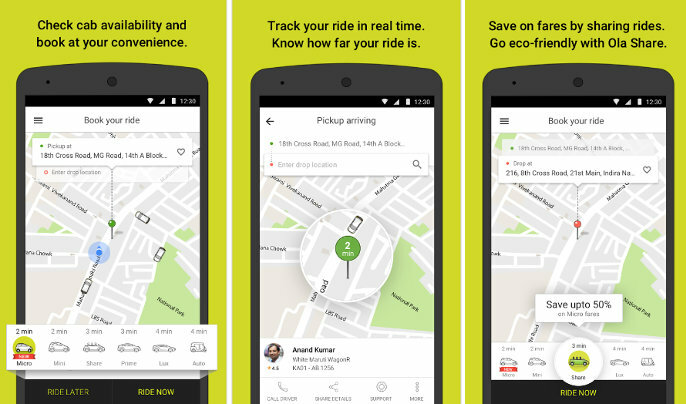 If you’re traveling to India, make sure that you install Ola on your mobile phone. It is the best taxi app like Uber for traveling from one place to another. It is ideal for short as well as long journeys. Ola cabs bought TaxiForSure in 2015 and became the most dominant player in the taxi sharing industry. It enables users to find drivers in over 95 cities. It lets them get in touch with over 250K drivers. Once you install the application and book taxi, the app makes you aware of the taxi location in real-time. Ola supports mobile wallet payment. It offers four types of taxis as per your budget. 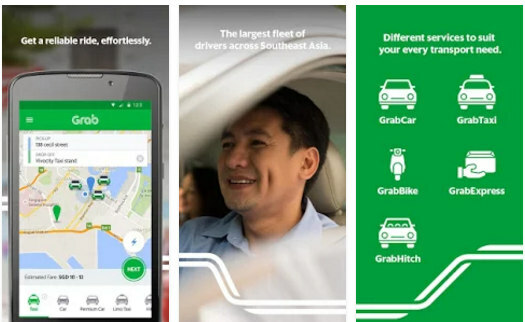 GrabTaxi is one of the major players in South East Asia. It features a massive listing of 75K drivers and has a user base of up to 4 million. The taxi app allows you to book cheap or premium aka luxury cabs. To ensure the safety of its passengers, GT verifies drivers identity before taking them on board as drivers. 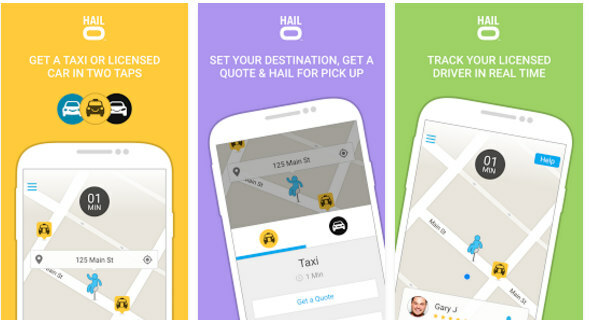 The application provides taxi tracking feature. The app is powered by the Foursquare location search service. The drivers you’ll find in Hailo are verified and are given permission to drive by the local authorities. The app enables you to track previous trips and check the location of a taxi in real-time. It lets users store their credit or debit card details securely. Conclusion: The above six taxi apps are the most used and liked applications. Use them and cut down expenses while traveling.